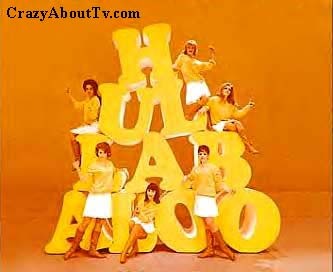 The Hullabaloo TV show was a musical variety series that aired on NBC for two seasons from January of 1965 to April of 1966. Each episode of Hullabaloo had a popular guest host who would sing a song or three even if they weren't known as a singer. The first 13 episodes had a segment where Brian Epstein would introduce a hot group from London. There was also a number done by the guest host and the guest performers called the Hullabaloo "Top Pop Medley", a medley of the current hits that topped the charts. After the guest performers sang their tunes, the final number would be performed on a hot night-club type set and was referred to as "Hullabaloo A Go-Go". Guests: The Young Rascals, The Remains, We Five, Tony and the Tigers, Lada Edmunds, Jr. Thank you for visiting our Hullabaloo TV show page!